Brannel School’s 3G Pitch opened for the community to use in August 2012 with numerous football clubs using it for their 2012/13 winter season training. The fully floodlight 3G Pitch can be hired as a whole pitch or divided into thirds to suit the needs of community clubs. Changing rooms with toilets and showers are situated in the Sports Hub next to the pitch. Brannel hosts the Plymouth Argyle Development Centre and Long-Term Player Development Centre on a weekly basis. 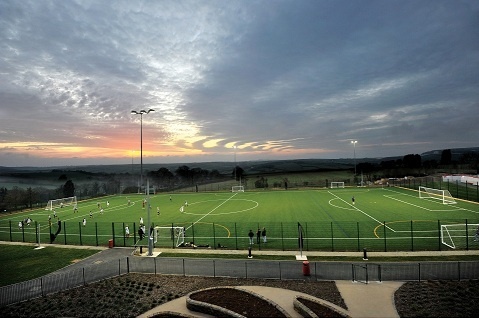 Cornwall FA regularly holds coaching courses at the school during weekends and uses the 3G Pitch for its Girls’ Football Development Centre.